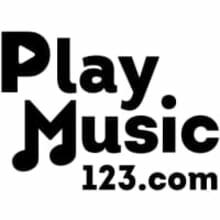 PlayMusic123 was founded on September of the 2003 in Los Angeles, CA. Since then, we have successfully shipped more than 850,000 orders. Whether you are looking for guitars, basses, violins, cellos, wind instruments, band instruments, microphones, accordions, speakers or any other musical instrument, we have exactly what you are looking for. Our Mission is to offer the best prices and selection on musical instruments along with an excellent customer service. For PlayMusic123 Excellence is not a quality is an obligation, we pride ourselves in bringing you these quality products at great low prices and service. We are music lovers, but customer listeners as well. We share the customer first mentality which has allowed for the success we’ve had. Our commitment of providing the best customer experience makes us who we are. Unlike many other companies, we stock our own inventory and are able to provide accurate and prompt service. Our broad knowledge in the music business, for over 20 years now, has allowed us to accommodate customers all over the globe. PlayMusic123 ships internationally. When you purchase from PlayMusic123, you are getting exclusively Brand New products for pennies on the dollar. We never sell seconds nor do we sell defective or used products. Two simple words. LOW PRICES! Let's face it, everybody wants a bargain and our purpose is to give it to you. Our ability to source products allows us the opportunity to pass huge savings to our customers. We sell musical instruments found in retail stores for up to 70% off. In addition to our low prices, we have built a stellar reputation for speed, quality, and superb customer service. PlayMusic123 is now privileged to have a great customer base and an AMAZING inventory of Musical instruments. All of our products are available for a limited time and sell out quickly. So come visit us often to check out our latest specials and price reductions. We thank you for visiting these pages and we expect that your visit in our store can be the best possible experience. We offer Shipping via FedEx, UPS or USPS Ground Service to all 48 lower states. International orders, Alaska, Puerto Rico and Hawaii are not included in Free shipping rate promotion. Regular shipping charges apply for Oversized Items, International Shipments and all shipments to Alaska, Hawaii, Puerto Rico, FPO / APO and PO Box addresses. •Regular shipping charges apply for Oversized Items, International Shipments and all shipments to Alaska, Hawaii, Puerto Rico, FPO / APO and PO Box addresses. Our goal is to process all orders within 24 hours of receipt. Orders are processed and shipped during regular business days and hours (Monday through Friday 9:00AM - 6:00PM PST, excluding holidays and weekends). If we encounter any problems processing or shipping your order you will be contacted within 24 hours. If you place your order before 12:00 PM Pacific Time, your order will be shipped on most cases the same day! Ground orders within the contiguous 48 states usually arrive within 5 to 7 days. Oversized items shipped via freight or for deliveries outside the contiguous US, call for delivery times. PlayMusic123.com makes shipments Monday through Friday ONLY. Expedite shipping service in not available during weekends. Important: All orders of $200 or more will require Delivery Signature. Some restrictions on shipping abroad are imposed by the certain manufacturers, please contact us for details. Orders to be shipped to APO and FPO addresses can only be delivered by the US Postal Service. A few oversized items we sell cannot be delivered to APO and FPO addresses because of US Postal Service size restrictions. Please note that you are responsible for all customs and duty charges along with any "additional" brokerage that may apply for complex customs-clearance procedures. Canada Ground service does not include brokerage fees. You are responsible for all brokerage, customs and duty charges associated with the shipment. Important: Due to custom procedures all International shipments require 10-30 days for delivery. Please contact your local post office for custom procedures and duty charges.